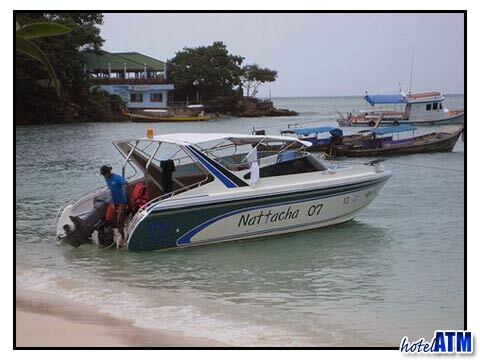 How much is the boat to Phi Phi Islands? This is the key question and the answer varies depending on your route to the island (Phuket, Krabi or Koh Lanta). Then choice is about simplicity and convenience. A prepaid transfer from the hotel or airport to the pier and subsequent ferry ticket is so much less inconvenient than organizing taxis or queuing at the ferry port. The key point of how much is the boat to Phi Phi Island is about getting things done in Thailand over clicking a few buttons on a Phi Phi ferry website. A few moments organizing your travel arrangements is so less time consuming than sitting down at the travel desk at your hotel and then lining up and negotiating your ticket price at the pier. 'Negotiating' a ticket price might seem a curious comment but some people pay twice what others can be charged. Some agents on the beach front of Patong Beach might charge a lot more than those agents just 40 meters further inland. This price might be lowered if you are in a group of 4 or more. Similarly there are costs differences for different Nations, pricing varying depending on what the local economy believes each nation will pay. The price from Phuket International Airport to Tonsai Pier on Phi Phi Island is 1,600 THB per person but 2,200 THB for a couple. The transfer from the Airport to Rasada Pier is by shared minibus and takes 40 minutes and the ferry takes 1 hour and 30 minutes and is the best value way to get to the island. The Phuket beach hotels like Patong, Karon and Kata beach is only 600 THB per person as the ferry companies include the transfer pick up from the hotels and resorts. The cost of the transfer from Krabi International Airport to Phi Phi Tonsai Pier is 1,400 THB per person compared to 1,900 THB for a couple. The transfer from the Airport to the Krabi Town Pier takes 15 minutes and then the ferry takes 1 hour 30 minutes. 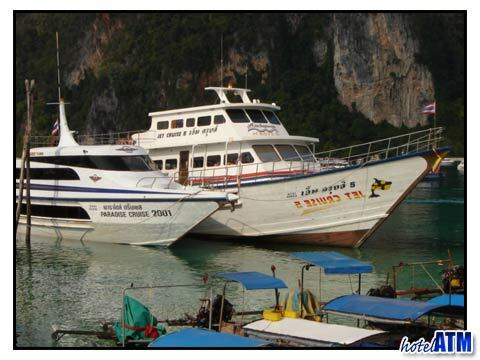 The cost of the ferry from Krabi hotels in Ao Nang to Phi Phi Island is 1,400 THB for one person and 1,900 THB for a couple. The great thing about the ferries are that they always run and do not cost any difference in high or low season. In low season weather there may be storms in June or September and ferries are cancelled but this is very rare now the ferries to the islands have increased in size and with it sea worthiness.